Bus Truck Market is a fast growing Second hand bus and truck sale and purchase portal where you get to know about the latest All Type old commercial Buses available in Maharashtra for sale and purchase, Trending Topics and Latest Announcements for used buses of all types of tata, force, eicher, Leyland & more…. We at Bus Truck Market aim at providing exclusive and in-dept information about the latest Old commercial vehicle buying & selling in Maharashtra. Bustruckmarket.com is a portal where users can sell and purchase vehicles. The main objective of this portal is to sell and purchase second hand commercial vehicles. This portal has been made keeping in view the users problems to sell or purchase their vehicles. We deal in second hand buses e, g School buses, Luxury Buses, Volvo, Sleeper buses etc. and trucks as well. This portal provides a platform for users to sell or purchase vehicles according to their will. Our users are the end customers as we want the business to be transparent for everyone. We also help our customers with finance as we have tie ups with some finance companies. Bustruckmarket.com is a portal where users can sell and purchase vehicles. The main objective of this portal is to sell and purchase second hand commercial vehicles. This portal has been made keeping in view the users problems to sell or purchase their vehicles. We deal in second hand buses e, g School buses, Luxury Buses, Volvo, Sleeper buses etc. and trucks as well. This portal provides a platform for users to sell or purchase vehicles according to their will. Our users are the end customers as we want the business to be transparent for everyone. We also help our customers with finance as we have tie ups with some finance companies. KEY FACTORS Fair Price for Everyone Large Number of Vehicles Finance on Vehicles Available OUR SERVICES : We are buying & selling all types of used buses in Mumbai. All Type old commercial Buses available in Mumbai. Used sleeper coach Ac bus available in Mumbai. ll types company & luxury buses selling in Mumbai. 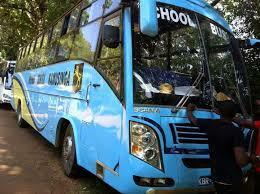 We are the dealers in sell and buy of all types of company branded from 13 to 50 seaters buses. Ac non Ac, company, luxury body & sleeper coach available in Maharashtra. Used school bus in Mumbai. Old school bus in Mumbai. Second hand school bus in Mumbai. Used mini bus in Mumbai. Old Mini bus in Mumbai. Second hand mini bus in Mumbai. We Bustruckmarket.com is your ideal partner for the sale and purchase of second hand buses. We have a large amount of buses in stock of each make, model, capacity and price, We can help you find the right tourist bus, school bus or scheduled service bus according to your needs and budget in Udaipur jaipur jodhpur, ajmer, bhilwara, shriganganagar. Welcome to BUS TRUCK MARKET- Poprtal for Used Bus and Truck sale and purchase . BUS TRUCK MARKET has always striven to serve second hand bus and truck buyers and owners in the most comprehensive and convenient way possible. We provide a platform where used bus and truck buyers and owners can research, buy, sell and come together to discuss and talk about their used bus and truck.. Our Mission:Our mission is to bring joy and delight into second hand bus and truck buying and ownership. Buying new commercial vehicle is an easier job but buying a quality used bus like a second hand school bus, second hand company luxury bus or second hand staff bus is not that easy as it needs lots of factors to be taken in consideration. Due to advanced access of internet, online buy has now become the most preferred mode of purchase for many shoppers as it allows a buyer to do his shopping at his own time and without spending much time by visiting shops etc, so is applicable for purchasing an used commercial vehicles like used Bus and truck.Bus Truck Market is portal for quality used buses and trucks available in Maharasthra and this portal is equally efficient in bringing customer satisfaction.We are the dealers in used buses of all types of tata, force, eicher, Leyland & more…We are buying & selling all types of used buses in pune as well as number of cities over Maharasthra.We are the dealers in sell and buy of all types of company branded from 13 to 50 seaters buses Ac non Ac, company, luxury body & sleeper coach available here. if you are looking to sell and purchase second hand commercial vehicles in bhilwara, rajasthan , india, we bustruck market provides you the widest range of used school buses and commercial buses with refinance and with complete documentation .